Home » What Is Awakening? The End of the Dream of Separation. What Is Awakening? The End of the Dream of Separation. What is Awakening really? 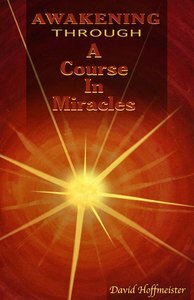 A Course in Miracles defines awakening as the end of the dream of separation, conflict, fear, pain and death, and the experience of the reality of the joy, peace and Love of God. The meaning of awakening therefore is experiential and not fully describable in words. Awakening occurs when the mind is willing and ready. The last step in awakening is taken by God. Thus Awakening can not be planned; it can only be a spontaneous occurrence. Just as our dreams cannot be relied upon to tell us of our waking state, we cannot understand what lies beyond spiritual awakening from within the dream. What we can talk about is spiritual awakening symptoms or signs. These are the miracles of forgiveness, which are the focus of the training of A Course in Miracles. This training is therefore not on how to awaken your psychic abilities but rather on seeing reflections of Truth within the dream. These are the moments where you learn experientially that there is no separation between you and your brother. The ego will attempt to twist and turn these experiences into specialness, fragmenting love into specifics. Centering prayer on inner awakening focuses on the practice of forgiveness so errors of differences and specialness can be replaced by the experience of Oneness in the holy instant, for God has only one Son. What is Awakening? David Hoffmeister’s email answer ! Hello David, I have a question or statement or both. What is meant by the words awakening mind – do you actually believe we are asleep in a dream? 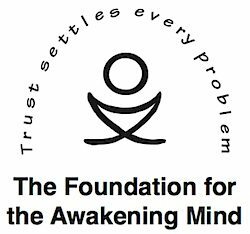 I believe in the Awakening mind group but I’m not sure if I believe as the group does. I believe that all that exists is Christ or from Christ. But sometimes awakening means to be aware of reality from illusion. As though watching a magic show or illusionist – what they do may look very real but we are awakened to the truth that it is only a trick or illusion. I believe we are awakening from the illusion that we allowed our self to be tricked by the greatest illusionist (deceiver) there is – Satan! We bought into Satan’s illusion that there is something greater than the spirit of love, which is God, by believing there is something else that exists that was not created by God. Such is the self or ego and so we pursue the illusion of the self ego, forgetting what is truth and what is illusion. But as we were given the choice to believe the illusion, we also have the choice to awaken or be aware in remembrance that what we see is not reality but only illusion. I believe the only truth is that separate we are part of God, but together all humanity, all that lives and was created by Him is God, as all was created by Him. I am not sure if creation was created by God as in the illusion state that we see now, or separate from the illusion in His awakened state of mind. Maybe it doesn’t matter as long as we see the truth through illusion. Just had it on my mindand thought I’d join in. Please tell me if and where I am incorrect. In the one spirit of love which comes all mysteries! Hello Beloved One, The time-space cosmos can seem very much like a dream, for it was the projection of the belief in separation. God, Being Perfect Love, creates forever Perfect Love, and such is Eternal Creation. Christ is a Perfect Creation in the Mind of God and Christ creates forever Perfectly in Love as God creates. In this sense “all that exists is Christ or from Christ.” Truth and error, Reality and illusion, Eternity and time are not “both” or “equally” true. Truth is true and only Truth is true. Because God/Christ/Creation is true, error is false or nonexistent. The deceived or sleeping mind “seems” to have forgotten God, Christ, and Creation. This “Spreaker” talk gives us a look into what is awakening David delves into his life experience and the steps he took from having a deep desire to know the truth and not settle for any of the meager gifts the world has to offer. Finding his calling in A Course in Miracles he devoured the book and poured all of his attention and question into 8 hour days of reading. He talks about hearing the spirit and the joy that came from following the instructions he received. He talks about how the abundance that comes from following the spirit has taken him around the world many times across many countries, spreading the message of awakening to a new unified purpose of forgiveness and living the happy dream. Frances gives the account of her journey, the fascinating opening to a life lived on divine providence and the joy of sharing her life experience when she came to answer the call of her heart. What is Awakening? Making a real commitment is to the ego a distant concept that it can never understand. Whereas, the Holy Spirit is guiding us into an experience of true understanding of its meaning. David Hoffmeister gives his own unified perception with spirit of the steps to awakening to the spirit. David speaks about some movies for spiritual Awakening : Image you find yourself on a secluded desert island with only a few movies and the desire to wake up from the delusional world. One of David’s favorites is Solaris starring George Clooney. It gives a fascinating look into the Course principle of what I give I give to myself and what you give is what you receive. The Course says “No thought of God’s Son can be separate or isolated in its effects. Every decision is made for the whole Sonship, directed in and out, and influencing a constellation larger than anything you ever dreamed of.” In this movie the result of thought seems to be manifested extremely quickly. The main character Chris, which can be seen to be a representation of the Christ, goes through what can be seen as the penultimate lesson of forgiveness to release the entire cosmos. What is Awakening but the full realization that what has always been true is still true and what is not never was?